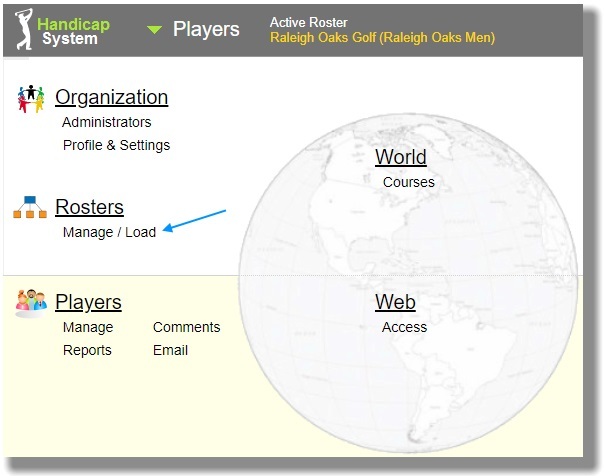 You can maintain any number of rosters to track golfers, scores, handicaps, addresses, etc. Each golfer can only be in one roster. A player ID number can be used only once within all your rosters. The Rosters list will appear. 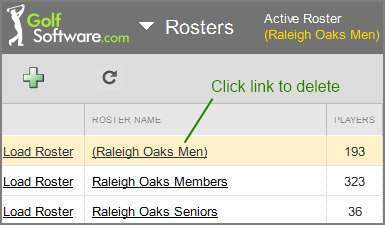 Click on the Roster Name link of the roster that you want to delete. Click on the button labeled "Delete" in the upper right. Read the information in red lettering. Type the word "delete" or "DELETE" into the yellow box and click the red-framed Delete button. Note that all players in the roster will be permanently deleted and cannot be recovered. They do not go to the Recycle Bin (from where they can be recovered).